leif elggren. crys cole. oren ambarchi. Rare solo performance by Oren Ambarchi in Tokyo! We’ve had the pleasure of knowing Oren for close to twenty years – dating back to his solo performance in our first space (Deluxe, in Azabu Juban). Oren has since performed at SuperDeluxe several times with an astonishing roster of international and Japanese musicians. Although Oren has released several high profile solo albums on Editions Mego, Touch and Black Truffle, he’s only performed solo at SuperDeluxe twice (in 2010 and 2014). We can’t wait to experience his latest solo approach and are grateful that crys cole and Konrad Sprenger can also return for final performances at SuperDeluxe. Do not miss! Oren Ambarchi is a composer and multi-instrumentalist with longstanding interests in transcending conventional instrumental approaches. His work focuses mainly on the exploration of the guitar, “re-routing the instrument into a zone of alien abstraction where it’s no longer easily identifiable as itself. Instead, it’s a laboratory for extended sonic investigation”. (The Wire, UK). Oren Ambarchi’s works are hesitant and tense extended songforms located in the cracks between several schools: modern electronics and processing; laminal improvisation and minimalism; hushed, pensive songwriting; the deceptive simplicity and temporal suspensions of composers such as Morton Feldman and Alvin Lucier; and the physicality of rock music, slowed down and stripped back to its bare bones, abstracted and replaced with pure signal. 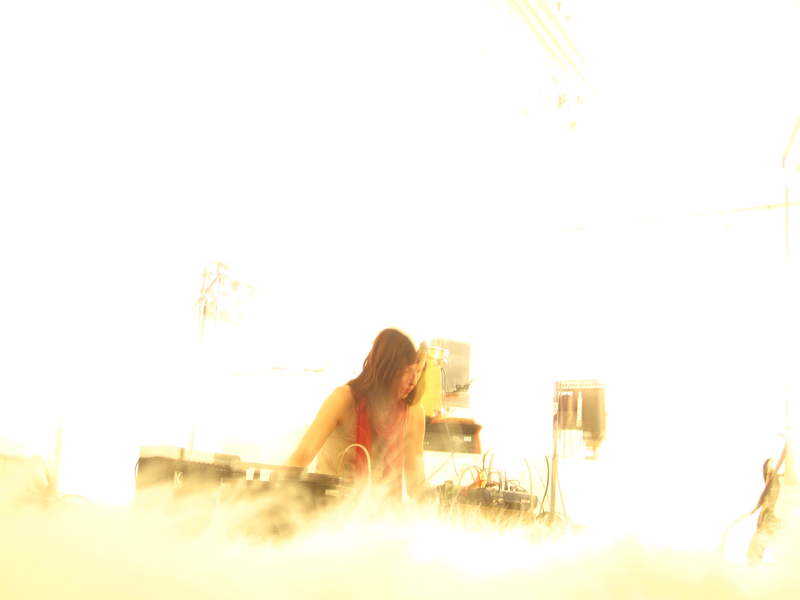 crys cole is a Canadian sound artist working in composition, performance and sound installation. cole’s approach to sound emphasizes subtlety and discretion, guided by a fascination with microsonics that test the limits of audibility and intentionality. By drawing attention to the texture and delicacy of minimal sonic environments, cole aims to create a heightened awareness not only of the sounds she creates, but of the environmental sounds that arise during listening – and ideally, of the listener’s own self-consciousness as a perceptual body and agent. She has performed in Canada, Japan, Australia, Thailand, Singapore, the USA and throughout Europe. 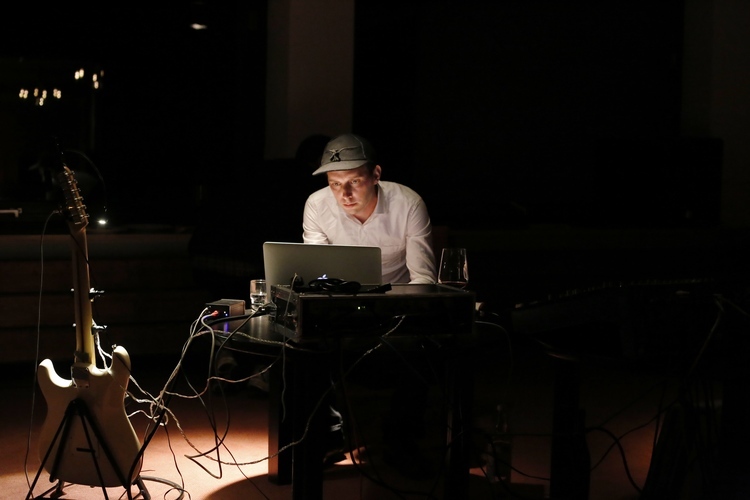 cole has ongoing collaborations with James Rushford (AU) (under the name Ora Clementi) and with Oren Ambarchi (AU). She has also worked with Keith Rowe, Lance Austin Olsen, Jamie Drouin, Mathieu Ruhlmann, Tetuzi Akiyama, Seiji Morimoto, Jessika Kenney, echo ho, Tim Olive and many more. Konrad Sprenger is the pseudonym of Joerg Hiller, a composer, music producer and artist based in Berlin. He was born in 1977 in Lahr, Germany. Hiller runs the Choose record label, for which he has produced recordings by artists Ellen Fullman, Arnold Dreyblatt,Robert Ashley and Terry Fox among others. Since 2000 Hiller regularly performs and works together with minimal music composer Arnold Dreyblatt and composer/ instrument builder Ellen Fullman, the bands Ethnostress and Ei and collaborates with the art collective Honey-Suckle Company. His recent focus has been on live performance with a computer-controlled multi-channel electric guitar. [About the computer-controlled multi-channel electric guitar] Konrad Sprenger explores rhythmic patterns based on the Euclidean algorithm, to evoke a kind of cognitive insecurity through metrical dissonance. 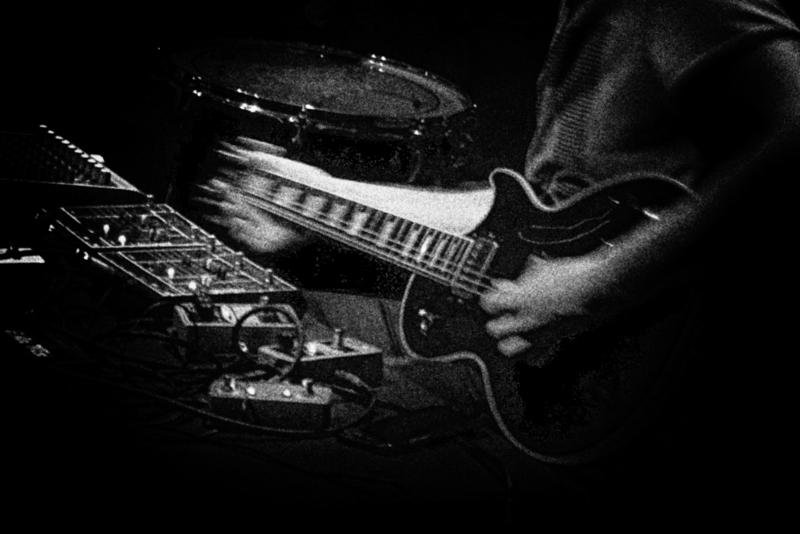 Sprenger approaches the strings of the guitar as frequency generators, tuned and set into motion by various electronically controlled mechanical actions. The music relates to the insistent rhythms of Minimalism, Krautrock and Techno, and their shared focus on transcendence through propulsive, full-spectrum sound. The custom-built instrument was conceived by Konrad Sprenger, and realized by Sukandar Kartadinata and Daniel van den Eijkel. featuring: leif elggren. crys cole. 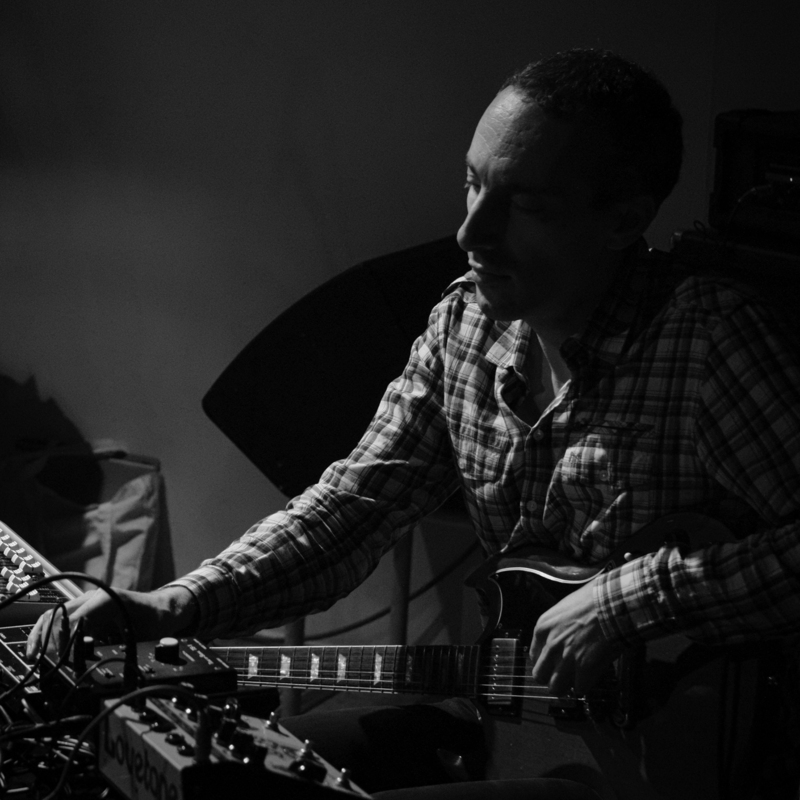 oren ambarchi.